The #27 on the McCloud turntable shortly after arriving from Alaska. 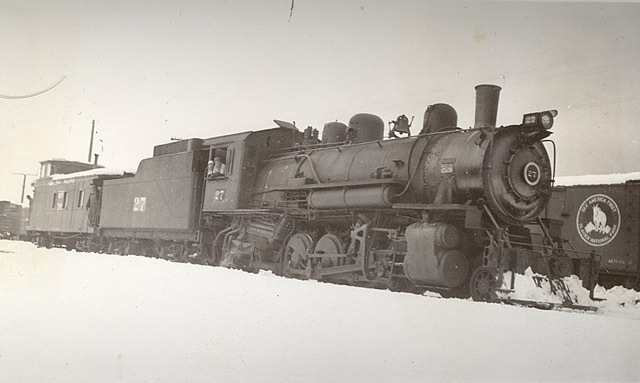 The railroad has applied the new number but has yet to letter the locomotive. Photograph courtesy of Heritage Junction Museum of McCloud, Inc.
Another shot of newly arrived #27 with a leased Western Pacific caboose in McCloud. Photo from the Travis Berryman collection. 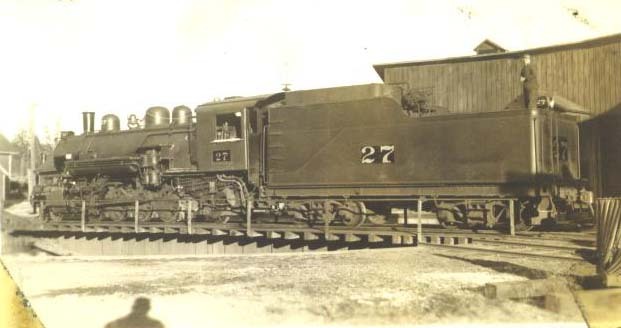 This photo shows the #27 sitting on the ready tracks in front of the McCloud roundhouse, which is just visible in the background. 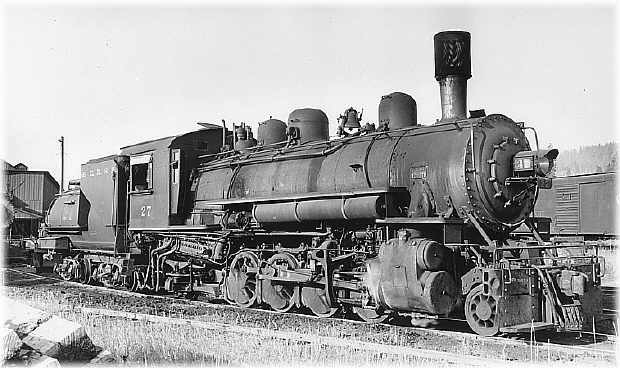 Note that the large tender has been replaced with the smaller Vanderbuilt tender. Photo from the George Landrock collection.